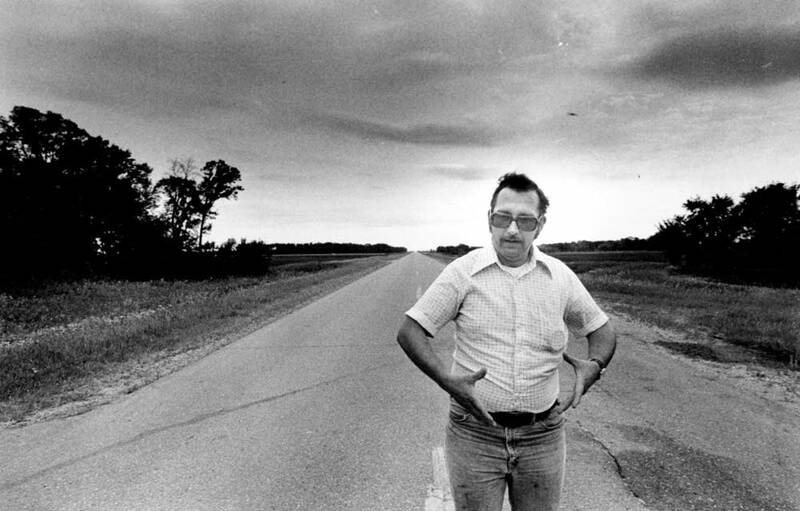 In 1979, Deputy Sheriff Val Johnson of Marshall County, Minnesota had a UFO encounter. He claims a ball of light hit his patrol car causing injuries, damage to the vehicle, and left him unconscious for 39 minutes. So what actually happened? During the 1970’s, Minnesota had a tremendous amount of UFO activity. Val Johnson’s sighting wasn’t unique to the area, though it ended up being one of the most infamous. Johnson was a night patrol deputy at the time. His encounter occurred on August 26th, 1979 on State Highway 20. It was in the early morning hours around 2 AM. The Sheriff’s Deputy was driving his vehicle when he saw a ball of light ahead of him on the road. The light moved towards his vehicle, apparently hitting the windshield and knocking him unconscious. In addition to the UFO sighting, there was also physical evidence left behind. Johnson’s patrol car sustained damage to the windshield and a headlight. Both of the vehicle’s radio antennas were bent and one of the red emergency lights on the roof was damaged. When help arrived at the scene, Val Johnson’s patrol car was in a roadside ditch. Val was slumped over the wheel. Johnson’s watch and the clock in the patrol car were both behind by exactly 14 minutes. Val Johnson’s description of his injuries centered around his eyes. He described the pain as being like a “welder’s burn”. He’d worked as a welder in his past so this was the closest thing he could compare to. Dental records also indicated that his dental bridge had been broken at the gum line. Interestingly enough, this case doesn’t have the typical government/military smell to it. There were no reports of hush visits by men in black or military presence. 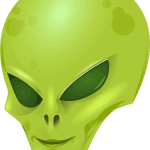 For believers, the Val Johnson incident is another nail in the coffin of proof for alien visitation. But Val Johnson himself doesn’t seem to push the issue. He maintains that it was an unknown object, but rarely goes further to speculate what it actually was. 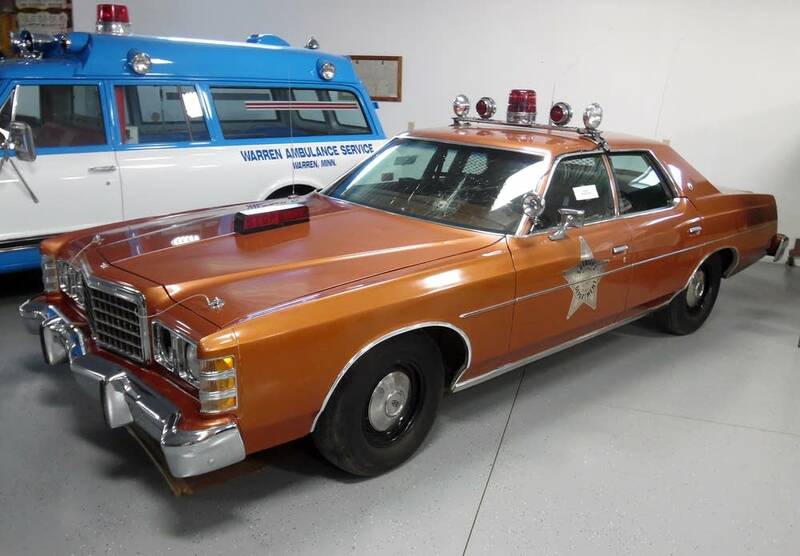 There’s no question that something collided with Val Johnson’s patrol car in 1979. There are plenty of questions though, as to what it was. While they would be common on a late-night ride down a rural highway, animal strikes leave behind obvious clues which were absent. The big question though, was it some type of alien craft? And that question is impossible to answer with 100% confidence. It’s unlikely an alien ship would accidentally collide with a automobile. An alien UFO capable of interstellar travel would simply be too advanced. Its navigation systems would eliminate the possibility of collisions. It would be like a 747 jet accidentally colliding with a Hot Wheels car and not leaving any signs anywhere except on the Hot Wheels car. 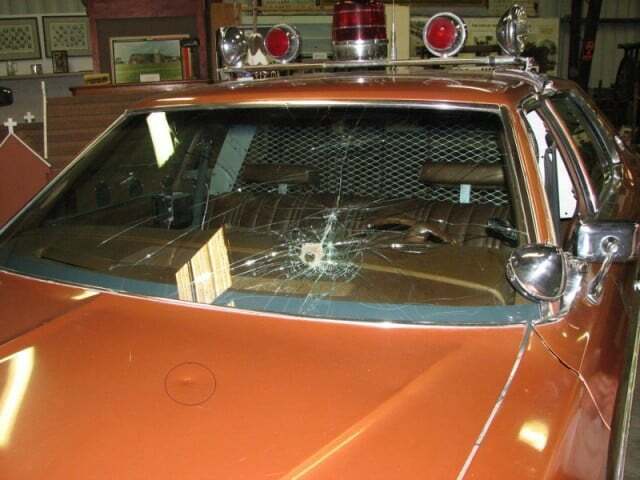 It’s possible Val Johnson’s patrol car was hit by an object controlled by a larger, unseen UFO. Perhaps a probe of some sort directed to hit the car as part of an alien research project. This is entirely conjecture though as there were no other reported sightings at the time either by Johnson or anyone else in the area. A Hoax Perpetrated by Val Johnson? Maybe Val Johnson made it up? UFO skeptic Philip Klass asserts that the Val Johnson incident was a hoax in his 1983 book UFOs: The Public Deceived. He believes Johnson damaged his own patrol car. Val Johnson believed that drug smugglers used small bi-planes to move drugs through the area and may have created this hoax in an attempt to draw resources to the investigation. Read This: Did You Fall For Any of These UFO Hoaxes? The Sheriff’s Deputy did refuse to take a lie detector test… But Val Johnson was a police officer with an upstanding record. The people in his department trusted him and believed he never lied to them. So why would he perpetuate a hoax and do so in a way that damaged county property? And remember, Val Johnson didn’t seem to be too convinced of the “alien UFO” hypothesis either. There is one other possibility: perhaps it was a hoax and Johnson was simply the victim. Had someone else damaged the car? This is probably unlikely due to the offset clocks in the car and on Johnson’s watch. While not impossible, it’s one thing for a hoaxer to damage a police car, but another to go into the vehicle to make timekeeping changes. The real truth might never be known. But we can draw some possibilities. The most likely explanation is Val Johnson damaged his own police car, either on purpose or by accident, and made up the UFO story to cover himself. He lent credibility to the UFO story by setting his clocks and watch back by 14 minutes in an attempt to replicate missing time frequently reported by UFO witnesses. But I have trouble believing it was a full-on hoax. While there isn’t much evidence for an otherworldly experience, the same can be said about Val Johnson making the entire thing up. So we must also accept the possibility that something completely and totally unknown really did hit Johnson’s patrol car that night. Was it a low-flying airplane by drug smugglers attempting to intimidate a local patrol? Perhaps. One can easily imagine a landing gear of a small bi-plane smacking into the windshield of a car, bending the antenna in the process. Or Val Johnson actually had an alien encounter. We can’t rule it out. But we might never know the real truth. MPRnews | Whatever Happened to the Marshall County Cop Who Hit a UFO? Shards of Magonia | An Extraordinary Hoax? At the angle the car was hit.People would have died if it were a low flying drug dealer. Whatever it was hit the car and went up and over leaving no trace except the impact. And the radio antenna being bent in a unexplainable fashion. I like the idea that he was hit by a low-flying airplane piloted by drug smugglers… but that wouldn’t explain the 14-minutes of lost time on his watch and clock in the car. Still, it makes the most sense especially if there were reports of drug smugglers using small planes in the area to move their wares.